Posted by Bravado Cooking for Men in Classic Italian Dishes, Recipes. As the end of summer approaches the basil goes wild in most of the U.S. If you’re growing your own, you will have more than you easily use. If you’re buying at the local farm stand, you’ll find it for about $2.00 a bag. 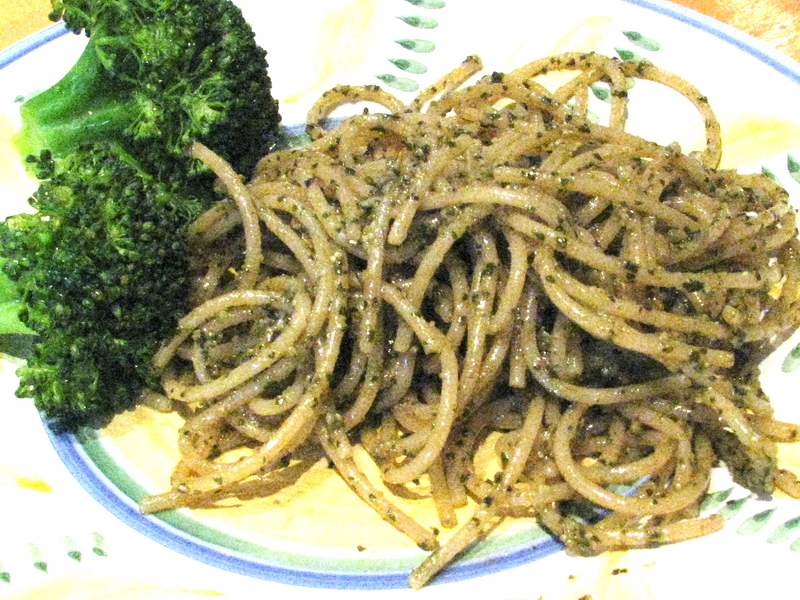 If you let the summer go by without some basil pesto, you have made a big mistake. 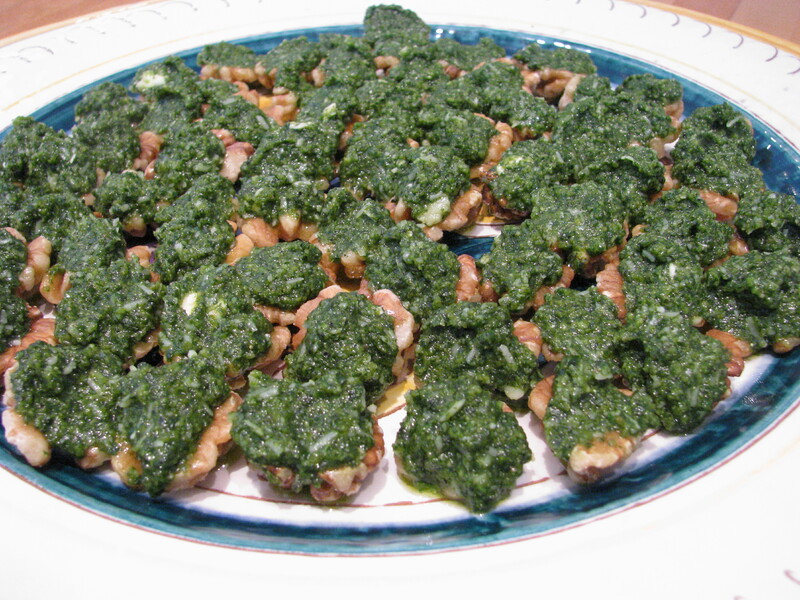 Last summer we did a number of posts about basil pesto. (Summer Pesto Extravaganza, Basil – Part II, and Basil – Part III). It’s time to go back and review the tips on how to select and pick basil and try the recipe for basil pesto. Click on the links above and do that now. No summer should pass without some basil pesto. Below are some pictures of some of our recent creations – spaghetti with pesto and my favorite appetizer – pesto on walnut halves. For the cognoscenti, you will immediately wonder where to get walnut halves, and you are correct – it isn’t easy. The best way to buy a 3 lb. bag of walnuts from Costco or other purveyor, open the bag and remove the approximately 10% of true walnut halves and save them for the big moment.